People are always telling us to make healthy choices, but what the heck are "healthy choices" anyway? It seems like every time we turn around, one authority or another is backtracking on something previously stated as fact (eating low-fat is the best way to lose weight; eggs are horrible for your cholesterol — you know what we're talking about ). That's part of the problem of creating healthy habits. Everything is so vague. Does it mean to exercise "more"? Or cut back on fast food? Or prioritize sleep? Or drink more water or fewer margaritas? To make healthy choices in the real world, you have to have a plan of action — a barometer by which to test your success or failure. And while everyone's path to a healthy lifestyle is bound to look a little different, there are lots of tried-and-true tricks for morphing your vague desire for health into an actual, workable solution. I could write a whole article on goal-setting, but I won't because it's already been done. The point is, you need to define what "getting healthy" means to you. Make your goals SMART (specific, measurable, attainable, realistic and time-bound), then spend time defining what those goals translate to on a day-to-day basis. For instance, will you aim to eat five servings of veggies each day? Will you complete 150 minutes of physical activity each week? If you don't determine what a healthy lifestyle means to you, you'll never know if you're hitting the mark. Accountability is an incredible motivator — if you feel like others will notice if you don't show up for a workout, you're more likely to make an appearance. Yokasta Schneider, the owner of Get U Moving Fitness, says, "Sign up for group classes. The support from a group will give you the accountability to continue your fitness journey." Plus, if you sign up and pay in advance, you'll be less likely to find excuses not to show — that's just throwing money down the drain. Snacks, that is. Alyssa Serchia, a certified personal trainer and blogger, says, "I always keep a piece of fruit and a healthy bar in my purse so I don't fall into junk-food temptations when I'm out and about." Hunger has this way of sneaking up on you, attacking right when you pass the plate of office doughnuts. 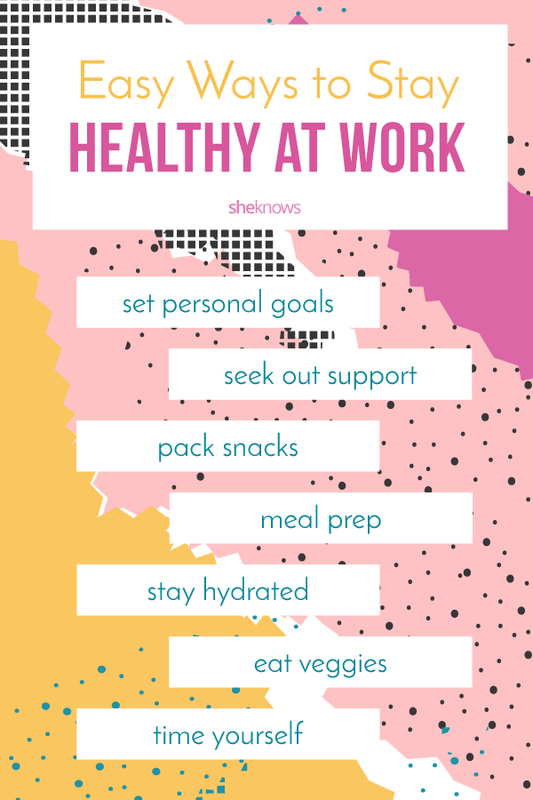 If you plan ahead and hide a few healthy snacks in all the right places — your car, your purse, your office drawer — you'll be less likely to grab the goodies or swing through a drive-thru. In addition to fruit and protein bars, baggies of celery and single-serving packets of peanut butter are excellent choices for a protein-meets-healthy-carb combo. In addition to packing snacks in all the right places, meal prep is essential for making good choices at mealtime. Lea Genders, a certified personal trainer, points out, "It's easier to make healthful choices on stressed and busy days when prep work is already done." The good news is that prepping really doesn't take that long. Simply plan the meals you're going to make for the week, do your grocery shopping, then spend an extra 30 minutes to an hour after you get home from the store slicing, dicing and separating foods so they're ready to be thrown together when the time is right. If you're not properly hydrated, you're shortchanging your metabolism. All of your body's processes take place in water (it does make up 60 percent of your body, after all), so even minor dehydration can prevent your body from performing its best. The last thing you want to do while pursuing weight loss or healthy lifestyle goals is to prevent your body from meeting its full, calorie-burning potential. Erin Jimenez, a blogger who's currently down 88 pounds and counting, concurs, "Proper hydration was a key component in the early days of my weight-loss journey. I've found that if I have several water bottles available in the fridge, I drink more water and snack less out of boredom." So, what if you don't like water? You're not alone. Sam "Sly," an active-lifestyle blogger, has this suggestion: "Create fruit, vegetable or herb water infusions. 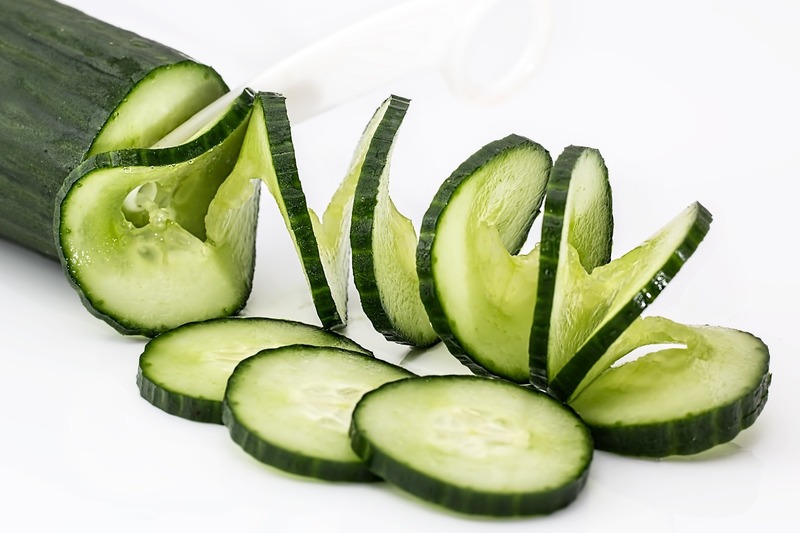 Simply add cut fruits or vegetables to water and chill overnight or during the workday. If I prepare a couple bottles, I always have delicious, healthy water ready. My favorites are cucumber and mint or strawberry and ginger." You don't have to eat salads at every meal to get extra veggies in your diet. Tammi Doerfler, a holistic nutrition coach, argues that veggies can be added to almost everything: "Omelets, pasta sauce, chili, soups and even some desserts like zucchini bread, are all made healthier with the addition of vegetables." She also points out you can even substitute veggies for some grain-based foods. For instance, you can make veggie noodles or cauliflower rice. You can't expect these substitutes to taste exactly the same as the real deal, but that doesn't mean they're not tasty in their own right. One of the biggest barriers most people have to enjoying a long, healthy life, is simply sitting too much. We're all too stinkin' sedentary! And while you might be forced to spend hours in front of a computer all day, you don't have to spend every minute of every hour in front of the computer. Sam Sly points out that you can sneak extra activity into your day by simply setting a timer: "I set a timer for 55 minutes. When the timer goes off, I spend five minutes moving — stretching, walking around, doing exercises. When I do this, I feel better and am much more productive." Not to mention, you get a lot more activity this way. If you exercise for just five minutes of every hour at work, you'll accumulate an extra 40 to 45 minutes of activity by the end of the day. Don't forget the power of planning. Samara Hantman, a National Academy of Sports Medicine-certified personal trainer, puts it simply: "Failure to plan really is planning to fail. Schedule your workouts like you would a doctor's appointment so you won't skip them." Put them in your calendar, then use all the tools at your disposal to help make your workout a top priority — for instance, block out the time in your schedule so nothing else can be penciled in, sync your calendar with your email to get notifications and reminders and set the alarm early enough so you'll be able to get changed and to the gym with time to spare. Originally posted November 2015. Updated October 2017.